“The wolves all seemed to start to speak their minds about the plan. Before all of them did not say a word about the decision to take on the missions that Pelzgrauen assigned them. Maybe it was because we were being honest with each other about what our thoughts were on the voyage. Somehow we avoided the enchantment by already telling what bothered us.” Observed Xerxes. “I was wondering what that light was on the water. So that is the island of fire then huh? The home of all fire breathing dragons, the Matahari. A lot brighter than I thought it would be.” Remarked Xerxes. “What do you mean? I thought as an Omni you would have visited most if not all the regions the dragons held. Not to mention you used that form so many times thus far in our battles.” Questioned Wolfgang. “Well that is one thing the Omnis had right.” Sarcastically stated Wolfgang. “What do you mean corrupted?” Asked the werewolf. “Yourself included I am guessing.” Half asked Wolfgang. “Those are quite good.” Added Wolfgang who was remembering the taste upon his lips. “So why did we split off from the pack and more importantly, where are we?” Asked Xerxes. “We split off from them because, as much as I do not want to admit it, you are right. We need to be a group of different races, not just the Omni and werewolves. They will get the wrong impression that way and may think we want things back the old way. As to where we are, I am sure if you looked around you could tell.” The dragon snorted at the werewolf a puff of smoke before looking behind him. In front of Xerxes was a large valley that ran between two mountain ranges. The valley was made of grey slated rock that cragged up and down the landscape. Even the shore they were standing was made of the same stone. On top of many of the rocks, grassy moss and trees sprang up giving the valley a splash of green. A great river flowed from a mountain at the end of the gorge to the middle of basin where a waterfall crashed into the lake below. Around it, a ring of tall pine trees lined the banks. The forest spread from there, blanketing the middle of the valley of pines, spruces, and firs. The rest of the gorge was filled with loose grey rock that a few seemed to move. The mountains surrounding the basin were of the same color with snow covering those further to the North. Thinking back to his memory, the dragon remembered this land. “This is Petram, the land of stone. The Racconto, also known as stone dragons, live here along with the dwarves.” Mechanically stated the Omni. “That is right except you forgot one other thing. There are more than just the dwarves and Racconto here. Stonewall and his army claim their land to be here as well. They are underlings of the witch after all.” Informed Wolfgang. Night fell over the valley as the two made their way over the loose rock. They neared the edge of the forest when Wolfgang stopped them. “You think the two rocks behind us will follow in there?” Whispered the werewolf. Xerxes was the first to recover and see what was heading towards them. The men made of stone were thundering towards them, making the very ground shake from their steps. Their faces contained big eyes, square noses, and small mouths. Soon their run turned into rolling as they attempted to get behind the pair and cut them off from the forest. The dragon turned into his Matahari form and flew them over the golems in their way. While over the forest, a shot rang out. Xerxes had been hit at the top of his left wing. The Omni shivered at the injury as it had broken bad enough for bone to pierce through the skin. The dragon fell to the forest while carrying Wolfgang who had finally gotten his sight back in his right eye. “I can’t move much. That shot had a bite to it and it is hard to move my shoulder without having to stop. I need it healed or I could lose my wing and a fair amount of blood to go with it.” Growled the dragon through gritted teeth. Regrettably, Wolfgang knew he was right and got to work quickly on it. Using a vial of Silbermond, he began to work on the injury. The sounds of rolling rock were approaching fast. He had to hurry or this whole quest was going to end here and now. Suddenly the ground beneath him shook and the two fell through the hole. Dazed, the werewolf looked up and was astonished to see that the hole had been filled already. Looking to his right, their stood a man. He stood at four feet tall carrying a hammer across his shoulder. The black head of it had a curved end with a sharp tip while the other was like a mallet. The figure wore boots of brown leather with armor that shined brilliant colors. It seemed to be made of red scales that covered the breast plate and the back while the shoulder blades were made of iron laced with diamonds. The gauntlets were made of chrome and showed visible circuits of different colors. Around his waist he wore a belt that had several leather packs with the buckle bore the symbol of a hammer. His pants were made of scales that were thinner and blue in color. Looking at the figure’s face, he could see that his dirty blonde hair was full of bits of rocks and dirt, his beard was short, and had eyes that were steely blue in color. “This way now!” The figure said. Wolfgang nodded and lifted Xerxes arm around his back. With the support, the dragon walked with them following the figure. As they ran on, they could hear that the enemy was no longer near them. The stranger stopped in front of them in a cavern. As they entered, they could see it was filled with beautiful gems and crystals of ruby, sapphire, emerald, and even a few diamonds. Wolfgang was going to answer until he heard the groans coming from Xerxes. “I will tell you if you can give me a space to heal him. He is seriously injured and needs medical attention.” Sindri stooped down and grabbed the dragon’s other arm and led them down a cavern full of sparkling opal gems. The brilliant colors filled the room blinding the werewolf. He heard stones move as a passage way formed in front of them, seeming to carve itself out. They carried on as the tunnel behind them sealed itself. The werewolf was amazed when he saw that they stood in a room flooded with moonlight. All around on the cavern room floors and walls were moonstones that reflected the pale light of the moon that poured in from a hole in the ceiling. “You need the moon light, right? This is the best place for this.” Informed Sindri. They laid the dragon on his belly as the werewolf began to work. “Don’t thank me yet Omni. The king will not be happy that I helped a member of your kind. Although I could sneak you out of here without them noticing you.” Sternly said the dwarf. “Well time to see if you are a descendent of Omnes. Cause diplomacy is going to be your problem.” Joked Wolfgang. “Thanks for the support fur ball. Alright, I request an audience with the king then. I do not want to hide or offend the great king of Skapejuvel.” Sindri was shocked by the words coming out of the dragon’s mouth. None had requested an audience with their king for years, let alone said that they did not want to offend him. Never the less, the dwarf bowed and led them down a corridor that opened into a great hall. The huge throne room was a cavern that had pillars leading to the throne. Each pillar was made of a different gem, six in total. The gems were ruby, sapphire, emerald, topaz, amethyst, and peridot. The walls had lines of gold, diamond, and silver that ran down to the throne which was made of the blue gem of lapis lazuli with a pink Thulite gem carved out into the emblem of the dwarves, the hammer they had seen on Sindri’s belt, on the top of the great seat. There sitting on the chair was a dwarf whose grey beard trailed down and around his throne. His armor was made of simple iron and steel that seemed to be clunky in nature. He wore metal boots that clanked with every shift in his movement. On his head, he wore a crown made of black onyx intertwined with four jewels of Thulite. His face was rough, with a big nose, and his dark purple eyes looked deep in thought. The king looked up from his hands and saw the three approaching. Immediately he motioned his hands to his two guards standing next to them. They both raised their axes and stood at an attack position. Sindri took a step back in instinct before bowing down. The king looked at him straight in the eyes before speaking slowly, “Words are what breeds conflict. The tongue is a sword that all creatures are free to use. They cut each other down leaving only destruction in their path. Especially in your path filth.” Wolfgang was growling behind the dragon and was about to speak when they heard a voice. “My king, but isn’t it also true that words can heal and instill change? One person’s voice has the ability to influence courage in others, to rise forward, to transform that which may be wrong.” Spoke back Sindri. “Then that change may be worse than where it began. Not all change is good, most is only an illusion to mask the old tortures we once knew.” Replied the old king. “But not all my lord. Some change is a progressive step for a better future. Those moments given are the ones we must take the opportunity to make a better world unless we stay in a ruined past.” Argued Sindri. The old king stroked his beard several times thinking hard on what the younger dwarf had said. With another movement of his hands, the guards lowered their weapons. Xerxes stood up and looked at the king while Wolfgang unclenched his fists. Sindri stood forward next to the dragon. The king looked surprised at the words coming from the dragon’s lips. He spoke, “This could not be the only reason that you have come to this land for… no you seek something, power perhaps?” Xerxes knew that the old dwarf was looking for a reason to be mad. Only the truth will smooth this over, he thought. With that Xerxes turned to leave the throne room when he was stopped by the king’s voice. “Stop.” The dragon looked around to see the old dwarf with a tear in his eye. He spoke again, “I have one problem that I need help with. This throne has been enchanted by Delsey herself. It has made me refined to it for the rest of my life and lengthened my beard. The only times I get to walk free is when they come to get metal or need repairs. It is blackmail to make sure we do not rise against them.” The dragon looked toward Wolfgang who came forward and inspected the throne. “What do you feel keeps you down if you try to get up?” Questioned the werewolf. “It feels as though gravity keeps me down on my throne like a great stone is on my shoulders.” Inspecting the throne, only a little while longer, Wolfgang sniffed and glared at every inch of it. After circling around the king enough times to make anyone dizzy, he stopped for a moment. He opened one of his pouches on his belt and pulled out a pale powder. He sprinkled it around the throne and onto the beard that surrounded the seat. With a blow, he spread the rest on the king before cutting off the old dwarf’s beard. He quickly pulled the short creature off and placed him standing on the floor. The old king stood on his two feet once again. The dwarfs bowed down recognizing that their king had risen again. One of his guards grabbed an iron hammer that was leaning against a nearby wall. It had a spike that stuck out of the end of the handle while the back end of the head curved much like a scythe. The weapon was easily the size of the king as he picked it up with pride. A smirk appeared on his face as he spun it above his head before setting it down by the handle onto the floor and leaned on the head of the weapon. With a deep breath in and out he said, “That was something I have wanted to do for, so long. Thank you Wolfgang, honorable son of the Moonclaw tribe.” The werewolf simply bowed slightly to acknowledge the compliment. “Now back to the Omni. You recognized several things the rest of your people did not Xerxes.” Observed the old king. “And what would that be great dwarf king?” Questioned the dragon. “Compassion, loyalty, and even with all the power you possess, you still need help. You showed me that comradery and humbleness are more important than personal pride or power. Because of my own blindness, I was stuck to that throne due to not asking for help outside of my own people. I only allowed myself to drown in my grief and have permitted a greater threat to afflict my kingdom. I will help you in what you seek Xerxes since you have helped me. Sindri, I would also like to congratulate you as well. You showed me that even a wise king needs to listen to others. With this, I appoint you as the next king of Skapejuvel after I am gone. When that day comes, I know that our people will see a brighter future. Now let us feast!” Laughed the king as he led them to a corridor down the right side of the throne. “To freedom!” the hall rang out. The three sat on the right in front of King Alfrigg and began to discuss Xerxes’ plan of liberation. “Smart, other than the problem of how many different creatures you have to befriend. Not to mention that most of them hate your guts and that all of Delsey’s forces are looking for you.” Remarked Sindri. “That is almost exactly what I said.” Smugly added Wolfgang. “Ok I got it I got it. It is a difficult road ahead, but my plan has the best shot of succeeding. If we work together we could pull this off. And wait a minute. Weren’t you the one that gave that inspiring speech to the king about how we must ‘take the next bold steps toward the future?’” The dwarf shrugged before drinking more mead from his mug. “I guess then I should go with you. After all you are going to need all the help you can get, your words do not exactly ring out as inspirational.” Bluntly stated Sindri. “We would be honored if you joined us. Now enough business, let’s enjoy this victory while it lasts.” Mused Xerxes while raising his mug. “I can drink to that.” Resounded Wolfgang as he raised his glass and drank the rest of his mead. The halls filled with laughter that night as the dwarfs took new steps towards freedom. The morning came as Xerxes awoke in a corner in the banquet hall. He had a minor headache from the partying and looked around the room. Most of the dwarfs were still passed out on top of the tables or on the floor. One of the tables had been smashed into two and the king’s hammer somehow had been lodged into the ceiling. Wolfgang was in his werewolf form and laid on his side. Sindri slept with his head resting on the fur ball’s stomach. The dragon chuckled and realized he was still in his Matahari form. He looked around and could see that he may have scorched some of the walls. Further laughter came from his throat as he tried to remember the night before. The dragon noticed that the king was not in the hall. Xerxes powered down to his human self and headed towards the throne room. The throne was still empty with the beard decaying as it leaked dull, yellow magic. He saw the king leaning against the towering emerald pillar in the throne room, looking at his reflection. “Emerald, the stone of balance and patience. My people built this towering gem for it is also believed that it can promote peaceful dreams. Always they followed me blindly and never lost faith even when my judgement was clouded. A leader is supposed to inspire greatness in others; but in truth there are times that a leader must rely on those who follow him for strength. Never forget that Xerxes.” Wisely counseled Alfrigg as he turned to the dragon. The king replied, “The army would not go through the forest, they will go over the mountain pass on the east side of Petram. Their bodies and weapons are to massive to fit through the gaps between trees. Thus, I advise you that in the forest, there is a cave that leads to the mountain you seek. There is a catch though. We dwarves have no idea where this entrance is. The Raccontos have kept it hidden for many generations and have not shared its location with any. You will have to find it on your own. Safe travels and may you find strength in both you and those around you.” The dragon bowed and left the hall. Sindri could see that the dragon’s pupils had turned into lines. “I was gifted the metal by the Jiqeeran for repairing a few of their dragons that had crashed here. 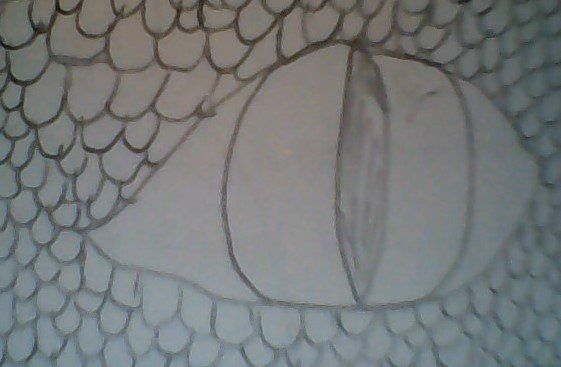 The scales were given to me by the Matahari and Kikorangi for fixing some of their fortresses’ defenses such as ballistae and mines.” This seemed to satisfy the dragon whose eyes went back to normal. The three made it to the lake in the middle of the forest. They searched around for both Stonewall’s men and the cave that Alfrigg spoke of. After thoroughly searching they gave up and decided to take a dip in the lake. Xerxes and Wolfgang jumped into the lake, causing poor Sindri to get soaked. He walked annoyed into the water after stripping his armor with a deep scowl. The other two laughed hard seeing that the dwarf was already soaked. The three waded in the water before speaking. “What if we cannot find the cave? Seriously, my people have combed through this forest thousands of times and never found even a hint. What hope do we have of finding it?” Spoke a disheartened Sindri. “Patience Sindri. Your people are strong willed and wise, but they did not have one thing.” Stated Xerxes. “Which is?” Questioned the dwarf. “They did not have a werewolf with them.” He patted Wolfgang on the back. The group got out of the lake and went to dry off. Sindri finished first followed by Xerxes, but they soon were wet again when Wolfgang shook all the water off his body. He then perched on one of the boulders by the lake that was filled with moss. The other two scowled at the werewolf as they went to dry themselves off again. Suddenly, a voice spoke loudly, “What smells like wet dog?” The rock under Wolfgang began to rumble and move. The wolf jumped off and watched as the moss slid off to reveal a Racconto. The dragon was made of gray stone that had carvings across its rocky hide. It stood with his body being a bit bulky in the gut area and its wings being small enough to cling into its body. His arms were strong looking as thick as its legs that dug into the ground. Its tail had a club at the end which looked like it could knock out any creature. Stubs protruded from its back that seemed to have set the moss on fire. The dragon looked at the group with its brown eyes carefully and noticed the Omni. “You are supposed to be extinct. How did you survive?” Excitedly questioned the Racconto. The three froze as they looked at the creature. This Racconto had been listening to everything they said and now was taunting them. “Here is the deal. You tell me how you survived Delsey’s massacre, and I will guide you to Mount Storia. We have a deal, no?” The three nodded as the dragon cannonballed into the lake; getting the company wet once again. He made his way to the waterfall that crashed upon the lake below. With a stomp, a stone slab could be heard moving down. The group looked behind the waterfall to see that a tunnel had been revealed. As the company made their way through the tunnel, Xerxes spun his tale of how Delsey kept him as a pet, the tribe of Moonclaw rescue, and freeing of the dwarf king Alfrigg. “I have a lot of carving to do later.” Commented Fabrizio. “I was going to ask about that. What are those carvings for?” Asked Wolfgang. “Each Racconto is an expert of some part of history. Whether it be about dragons or other races, we are the keepers of the past so to speak. Mine for example is about the Omnis. I thought that the tale had meet its end. Apparently, there is going to be a lot more to come.” Replied gleefully the dragon. They continued down the path until they could see light up ahead. As they passed through, they could now behold Mount Storia. The tunnel had opened to the main road of the mountain. Along the street were huge boulders that had been carved out by the Raccontos. On the insides, they could see great carvings of dragons, sea serpents, and other races as they passed each home. As they traveled further up the cobblestone road, they could see the brown brick library that stood at the top of the hill. Walls enclosed the top of the mountain and had several lookout towers that watched the plains. The library stood above all with a tower pointed above with a tin top. The tower had a spiral of brown, gray, black, and white stones that led to the uppermost part of the building. Below the tower, the main part of the library had white marble pillars that stood tall with ornamentations influences of Ionian, Corinthian, and Doric scattered every other. The grand doors were made of Redwood as they entered the inner part of the library. In front of them, were shelves upon shelves of books that curved all along the walls of the library, making a maze of information. The ceiling had further carvings of stories of the past. At the middle of the place, was a desk that stood behind it a Racconto who had fallen asleep with a book over his face. Across his skin was the letter z carved several times upon his body. Some etchings of dragons in night caps along with what seemed like a desert were found on his stomach. Fabrizio cleared his throat and the other dragon fell to the floor making a very loud audible thump. In unison, they heard an audible “Shhhh!” from around the library. “I think that the ‘Shh’ was louder than the thump the dragon made.” Whispered Wolfgang. Sindri nodded in agreement. “Never you mind Pigroc. Just let the dean know that we are coming to see him.” The other stone dragon shook his head and sent a capsule with a piece of paper inside it up a tube that shot to the upper floors. Fabrizio bowed before continuing up a flight of stairs that had white marble banisters. As soon as the group was out of view, they heard a loud thump come from the hall. On the second floor, was an array of artifacts pulled from different parts of Magitotum history. Among them included but not limited to; a robotic arm from the Tech War, the treaty of the Conflict of Elemental and Metaphysical Forces, and a ring that Merlin wore during the Wizard’s War. In a far-off corner behind one glass container, was a small golden medallion of a cat’s face with elongated ears. Its eyes glowed green as Sindri seem to move closer and closer to the object. Fabrizio noticed this and smacked the dwarf in the back of the head. “The Amulet of Tawala. It allows the wearer to control anyone who looks at it directly, among other abilities. We recovered it after the fall of the Pharaoh Tandaa. The mad man attempted to control all Hadithi following the Wizard’s War. He was stopped by an alliance formed between the genies, the people of the region of Uchawi, and some rogue sorcerers from Mendaxum. They decided it was best to leave the former rulers body with his people in the region of Kunyoosha, but the medallion they needed to be sent as far away as possible. They asked us to store it here and we were happy to oblige. A piece of history is always welcomed here.” Informed Fabrizio. He continued to another set of stairs. This was a large stone spiral staircase that went from the middle of the second floor among the artifacts to the upper tower. As they climbed the stairs, they looked out to see the mountains that were topped with snow. After many steps, they finally arrived at the top floor. Inside of this tower, sat, on a seat made of blue topaz, the dean. He was an older Racconto who was made of gneiss rock and was larger than any other rock dragon they had seen so far. Its carvings filled the entirety of its body ranging from the top of his skull to its tail. Unlike the others, the stubs on its back also spread to its arms. His wings were large and had points at the end of them. The dragon held in his right hand a book which he was reading with a pair of small glasses that lay on the end of its snout. He looked over his spectacles with his brown eyes and smiled at the Omni. Putting his book down, he opened his arms to the young dragon. Xerxes gave a tough glare at the older creature, crossing his arms. The two stared at each other until they both broke out laughing. The others in the room were confused as to why the two were acting so strangely. Xerxes leapt toward the older Racconto and gave him a hug. “It is so good to see you again Uncle Dante.” Proclaimed Xerxes. The older dragon spoke with strong voice that seemed to shake the very room. “My little nephew. I was so worried about you. I heard what happened and thought I lost you.” The dragon gave a tighter squeeze while smiling, his clubbed tail moved up and down much like a dog, causing the room to shake. “Excuse me for breaking up the love fest, but how are you two related?” Spoke up Wolfgang. “It is your heritage, not mine dear nephew.” Replied Dante. Xerxes looked at the confused onlookers and explained. “An Omni chooses one mate for life. Now normally the races never mix, but on few occasions, they do and create something wonderful. Usually when dragon races mix, they create a new race like when a Matahari and Kikorangi mate and their offspring are either Matahari, Kikorangi, or Racconto. Well Omnis are different from this pattern. When the mate is chosen from any dragon race, it becomes an Omni. My mother was a Racconto that my father fell in love with when studying at this very library. It was before the “king” and “queen” made the rule of not straying from the homeland. After the stupid rule came about, Uncle Dante would sneak in to come visit me to teach me about all the other creatures in this realm. I do not know how he pulled it off since he is such a loud mouth, that and his size, but I was grateful for the teachings he gave me.” Xerxes smiled back and gave his uncle another hug. The dragon smiled at the curious young dwarf. “When you are around as long as I have you pick up a few tricks. The enchantment carves the knowledge I learn as I hear it. My subject being that of the Racconto people. So understandably new carvings are being made when something note-worthy in this kingdom comes along. The return of my nephew being one of them. However, that is not the only thing.” Said Dante with a concerned look outside. “Uncle what is…?” Xerxes looked outside as he saw the army of Stonewall approaching. Many stone warriors were marching their way with cannons rolling in. Some rode on stone horses that galloped with such force that the earth seemed to shake. The horses had a horn that sprouted forward from their heads and a smaller one that was on the crest of their noses. Their tails were long like whips with spiked rock balls at the ends. They snorted dust that covered most of the army, but one did not need to see them to hear or feel them. The tower they stood in shook with every approaching second. “What are we waiting for? We should be charging out to meet them on the plains. That way there will only be minimal damage to the mountain and the people.” Said Wolfgang aloud. “You are not looking hard enough. They have cannons and guns that can shoot from that distance. They do not need to get any closer than where they stand now. We need to attack now…” Before finishing a compressed boulder blasted through the tower, collapsing the room they stood in. Quickly Dante grabbed Sindri and Wolfgang before he curled up into a boulder as Fabrizio did the same. Xerxes quickly changed to a Racconto and followed his uncle’s lead. Everyone inside the building had gotten out safely before the it turned to rubble. When they realized that their guests and leader were missing, they began to search through the ruins. The inhabitants of Mount Storia removed the rubble to see if they were alright. First, they found their dean and tapped on his hard skin twice. The Racconto grunted before he uncurled, revealing that Sindri and Wolfgang were fine. Fabrizio was also found unharmed from the damage caused by the golem army just outside the city. Ironically, Pigroc had slept through the whole ordeal and was unhappy being woken up from his peaceful nap. Xerxes erupted from the rubble before he was found and revealed his Racconto form. This form was made of gray granite stone while the stubs on his back were spiked and, much like his uncle, ran down the length of his arms. The end of his tail was rounded with a spear like tip that seemed to be dipped in diamonds. He looked towards the others and was relieved that they were unscathed. “Uncle we need to fight back. Your tactics are strong but unfortunately, we do not have the opportunity to enact them. We are going to have to face them head on. Your mountain only allows one point of access to the field and the momentum you create rolling down will make it so that you will be unharmed to any incoming projectiles.” Quickly reasoned Xerxes. “We can do one better. While we distract the army, and lure them closer to Mount Storia, we could take out those cannons.” Added Wolfgang. “Probably should take care of their catapults too.” Said Xerxes. “What catapults?” Asked the werewolf. The Omni simply pointed to the sky to see rocks being hurled on to the mountain. The boulders flying at the mountain caused parts of the Raccontos’ homes to collapse and wreckage to layer the street. Dante looked alarmed and immediately leapt up onto one of the boulders that was lying in the side of the mountain. It sprang to life revealing one of Stonewall’s men. Dante pounced on top of the soldier and growled at the foe. The soldier attempted to punch the dragon in the face. To his surprise, the dean did not flinch from the attack, and the stone warrior’s hand crumbled to pebbles. The man was wide eyed before the reptile slammed his body into him, crushing the golem underfoot. Dante shouted boldly to his men. “We must defend our homes great scholars. Inspect every boulder that lands on this mountain and shoot any that you can out of the sky.” A group of Raccontos lined up into ranks and shot stones from their mouths that decimated the projectiles coming towards their homes. The dwarf scowled at him before answering. “Follow me.” With that, he turned his hammer around and began to dig into the ground. The dwarf seemed to have super speed as he made a tunnel that seemed to go on and on. Wolfgang and Xerxes followed him as the short man burrowed through the earth. Suddenly their digger stopped beneath what looked like hooks. “I would guess that this is what the cannons used to stay put while firing. The enemy is right above us. Are you ready?” Without a word, the Omni broke out from the ground underneath the cannon, smashing it to bits. The stone soldiers were shocked as Xerxes in his Racconto form blasted rocks in every direction, annihilating the troops. Sindri headed towards the other cannons, crushing them with his hammer. Meanwhile, Wolfgang charged forward to the catapults. He was inches away from the first one until he was stopped by a stone shot from a familiar figure. Stonewall looked down on the werewolf who was still in his human form. “I am not giving up, you are just not worth my best.” Retorted Wolfgang. This angered the stone general who punched down onto the ground with his cast iron arm. This sent a shock wave through the ground that made it crumble and shake. Wolfgang jumped into the air onto a nearby soldier’s head. He began to jump head to head before side kicking toward the general. The older creature blocked with his iron arm, and knocked the young one away. With confidence, the boulder man charged forward with his shoulder. Wolfgang dove underneath hitting his legs, causing the old general to fall face first into the ground. Smirking, the werewolf headed back to the catapults. Reaching them, he knocked each over which caused some of the soldiers to be taken out as well. As he went for the last one, he heard a familiar sound. He quickly dodged to his right and saw as a pebble shot destroyed the last catapult. “That takes care of that. Thanks, Stonewall, you really are one competent general.” The young werewolf said sarcastically as he ran towards Mount Storia. Enraged the general ordered his armies to, “Pursue that mutt!” They charged across the plain inching closer to the Raccontos’ homeland. Xerxes was pleased to see this, but something seemed off. He looked towards the hole they had entered and noticed that some of the soldiers had started to jump down it. “Good move general good move.” Thought Xerxes to himself. He dove headfirst into the hole turning into his watery Kikorangi form. Flooding the tunnel, he drove the soldiers out like a geyser through both openings. The Omni emerged from the entrance of the tunnel on Mount Storia. He looked around and saw that the Raccontos have routed the enemy to the foot of the mountain. Looking across the plains, he could also see that Sindri and Wolfgang were leading the army to the same place. The stone dragons began to gather at the top of their home, ready to roll down and flatten the army approaching. “Nephew come join us. It will be an honor to fight beside with family once again.” Dante smiled at Xerxes. The young dragon returned the gesture and stood beside his uncle. Stonewall could feel the ground shake below him and looked towards the mountain. Wolfgang and Sindri climbed onto two boulders at the entrance and smirked at the stone general. The old man squinted and saw to his horror rocks sliding at them at high speed. He ordered his men to shoot at the incoming enemies, but their shots bounced off the bodies of the Raccontos. They tore through ranks upon ranks of the golem army. Dante headed straight for Stonewall who dropped his gun and was ready to punch with his iron arm. The older Racconto unrolled and charged forward ready to match fist for fist. Two fists collided and surprising to both, neither seemed to be damaged from the others attack. “Interesting ain’t it? Reckon it was lucky that I lost my arm fighting you Union dogs. That doctor is a wonder giving me this thing.” He held up the cast iron arm, astonished at the strength. The general thought on this stroking his beard then responded, “You may be right. Thanks kid, I was letting my pride cloud my judgement. Troops it is time to retreat! Cavalry charge forward to cover the escape then follow!” Stonewall climbed onto a nearby horse and galloped off to the mountain range to the east. Four stone horses, with their horns pointed forward, stampeded straight for Dante. Xerxes leapt into action in Racconto form and shot rocks from his mouth that were aimed at the feet of the incoming enemy. He managed to shoot two down, but the others were coming in fast. Spewing lava from his back, the young dragon was able to melt one of two who made it through the blasts. The last of the four however was able to pierce into Dante’s chest. In rage, the young dragon pulverized the beast. Once he was through, only the horn wedged in his uncle’s chest. The old dragon began to fall back, but was caught by his nephew. Xerxes cried out to Wolfgang who heard his pleas from across the plain. Quickly, he ran across the battlefield seeing the upsetting development. With haste, he pulled out a bottle of paste-like substance. He removed the horn slowly before filling the wound with the contents of the bottle. It glowed faintly but not enough to take full effect. Wolfgang sighed before turning into his werewolf form, then unleashed a beam of moon energy directly to the wound. Instantly, the paste became solid, Dante breathed in loudly, and smiled at Xerxes with a thumb up. The young dragon hugged his uncle before thanking Wolfgang who had powered down to his human form. They escorted the older dragon up the mountain while Stonewall watched from afar, smiling at his success. The Raccontos began rebuilding after the Battle of Nocciolo. In the Pietrateca where they first met; Dante, Wolfgang and Xerxes sat down with the old dragon as he recovered in the rubbles of the once great building. The Racconto was telling them tales of the old days, including a few embarrassing stories about the Omni as a kid. “Ok how about no more stories. Rather not give Wolfgang anymore ammunition for him to make fun of me later.” Interjected Xerxes. The werewolf shrugged while the older dragon chuckled. Sindri ran into the room, breathing heavily. “What’s wrong Sindri?” Xerxes asked. The dwarf put up his pointer finger, telling them to wait a moment while catching his breath. After breathing in and out several times, he composed himself and said, “Oh nothing, I just had to go retrieve someone that might be able to reinforce this place and help with repairs.” Before anyone could ask who, King Alfrigg strode in with his hands behind his back. Alfrigg smiled back and responded, “Yes it has my friend. I was kind of held up so to say, but now I am able to visit far more often thanks to Wolfgang.” The werewolf looked to the side with his hands in his pockets. Dante chimed in, “This is ironic Alfrigg. The only reason I am living and breathing right now is thanks to Wolfgang’s healing as well.” They both looked at the werewolf who glanced back at them. As Dante and Alfrigg reminisced with stories to one another, Xerxes and company huddled together talking on what to do next. “We should rest and stay here for the night. The battle was intense for all of us and we need to recover to continue on our journey.” Spoke the dwarf first. “No, we travel to Staude tonight.” Coldly replied the werewolf. “Speak for yourself dwarf. I did not even break a sweat last battle, plus my power doubles at night.” Shot back Wolfgang. Wolfgang shook his head and responded, “We do not have to climb over the mountains. Remember when we first landed here Xerxes?” The Omni nodded. “Well while you were unconscious I looked around and found a pass that led straight to Staude. If we use that path, we could avoid climbing through the mountain range. As for Stonewall, his army is too busy recovering from the battle to cover that route. Plus, we already proved that we are faster than his army.” Sindri and Xerxes analyzed the idea. The Omni thought to himself that it was a good plan, but what if Stonewall had a battalion there guarding it at all times. After debating back and forth with the idea in his head, the young dragon agreed. Sindri still was skeptical but agreed that the plan made sense. Xerxes walked up to his uncle who was chatting happily with the dwarf king. Clearing his throat, the young dragon grabbed the attention of both elderly creatures. His uncle smiled sadly and said, “Time to head off already?” The Omni nodded looking down at his feet. Dante walked up to him and put his hand upon the young dragon’s shoulder. “Do not worry my nephew, we will see each other again; I am sure of that.” Xerxes hugged the older Racconto once more then headed off with his company down Mount Storia. “Well then my friend isn’t it good that I have you then?” Responded the Racconto. Alfrigg nodded with a smile. “Besides you met those three, I have faith that they will be able to restore all our lands to their former glory and give us the peace we all have been fighting for.” The dwarf king nodded and began to stroke his beard thinking of the task that lay ahead of them. “You know Wolfgang when I agreed to your plan I did not realize I would be flying the both of you on my back all the way across Petram.” Growled Xerxes as they flew over the stone covered land. Sindri looked toward Wolfgang and noticed a considerable change from his previous behavior. The werewolf had his arms spread; breathing in the flowing wind with a smile spread wide across his face as the moon shined down on them. Wolfgang could feel eyes on him and looked back at the dwarf. The two locked eyes staring at each other. Suddenly the werewolf spoke out, “What? Do I have something in my hair?” Wolfgang shook his hair around as he stared back at the short creature. The werewolf sighed before answering, “Being a werewolf, there is the constant battle of allowing the beast within to roam free. The more I use the wolf form, the more aggression and sense of chaos I feel. It will boil over to when I am in my human form and cause me to lose a sense of who I am. Therefore, I only rely on it in dire circumstances.” The dwarf nodded and kept quiet as they approached the shore line. The three looked toward the shore seeing the shining island of Kebakaran still burning bright. Wolfgang led them towards the pass he had seen in the mountains along the shore line. Nearing the place, Sindri noticed that the cliffs on the left were high and were perfect for anyone to jump them. He held onto his hammer firmly as they went through the pass. The three stayed silent as they marched through the path. Suddenly, Wolfgang stopped them in their tracks. He turned around and asked Sindri for his hammer. The dwarf shrugged and tentatively gave the wolf the weapon. In a flash, the son of Moonclaw leapt upward to the ledge and smashed what seemed to be a stone soldier. The werewolf returned to the other two and said, “We got company.” Xerxes immediately turned into his Matahari form and burned a fire into the air. Over the cliffs came a battalion of twenty soldiers and the familiar cast iron armed general, Stonewall. The commander laughed while saying, “Foolish varmints. I knew you would travel this way. I saw y’all go into Skapejuvel then go to Mount Storia. It seems to me that y’all are trying to form an army, probably to combat Delsey. That means you are going to need a grand armies’ worth of troops to combat her. Which you would need to go from land to land to accomplish this. You would not dare go through the mountains because I would reckon it would take time away from you, which it seems you do not have a lot of. This pass is the quickest way, and after I observed from you werewolf, you are a bit tentative to use your werewolf form huh? What’s the matter? Not able to control the beast? Reckon if I agitated you enough, you might even go off on your friends. Only the smart win wars folks. A lesson you are going to learn now.” With that statement, Stonewall’s men began firing at the three. Quickly, Xerxes changed forms to Racconto as he plunged his claw into the ground, summoning forth a wall of rock to protect them. Sindri jumped over the protection and began batting back the rock bullets toward the enemies; taking down each one by one with ease. The agitated general ready his gun and aimed it at the dwarf. He fired and landed his mark on the dwarf’s left shoulder. Sindri dropped his guard, as his left arm was broken, and shots clanged against his armor. With a growl, Wolfgang transformed and leapt over the barrier. His fur was a blur, as he cut down soldiers left and right with incredible speed. All whom was left was the general. With his mouth drooling, Wolfgang rampaged toward the general who began to panic. Swinging his fist, he landed a punch on the savage beast. The wolf simple chuckled as he sliced the rock arm and two legs of the general off. With one bit of strength the general launched himself with his iron arm toward the cliffs frantically pulling himself away. “But I could end that know it all general right here and now.” Barked back Wolfgang. “At the cost of a friend? Come on fur ball I know that is not what you want.” Responded Xerxes with a glare. The beast glared back in silence for what seemed like an eternity with no response. Finally, the wolf shook his head and said, “You are right.” Powering down he continued to say, “Get him within the light of the moon. I still have some Silbermond I can use on him.” The Omni carried his friend to a stone slab that was bathed in moonlight. They removed his armor and found that he had indeed been pierced by several bullets. The son of Moonclaw poured the potion over the wounds and watched as the liquid began to glow with the pale light of the moon. Sindri gasped and began to speak, “Remind me never to do that again.” The other two chuckled as they helped him sit up. Wolfgang wrapped the broken arm in several large, purple, oval shaped rainforest leaves that had white veins running through them. With a grey piece of linen, he made a sling for the arm to rest on. “The old man got a lucky shot in, a gap in one part of my armor. I have not found a suitable under shirt to provide basic protection for incoming fire like that. He somehow had found that out and made the shots.” Responded Sindri. Xerxes spoke up, “He was analyzing us on the battlefield. The whole assault on Mount Storia was just a way for him to know how we fight and where we leave openings. He is trying to get into our heads and figure out how we think. We might have underestimated the old man. For now, we need to keep moving.” The other two agreed and treaded down the path. Finally, out of the passage, they saw in front of them a dense forest. The trees were mixed of two different types. The first were glowing black bark Weeping Willows with purple shining leaves and vines that showered down to the ground. The others were radiant white barked ash trees whose leaves outshined their counterparts. Xerxes looked around confused at the development of the forest. He had been here before, but these trees did not coexist together before. They had always separated the forest in the middle, one being of the light trees and the other the dark. “What has changed?” He pondered in his head. As they gazed upon the forest they noticed a figure headed towards the edge of the coast cliff. They could tell that it was a female elf by the dress that outlined her figure and draped down, reflecting the pale light of the moon. Her white hair hung down to halfway down her back. Wolfgang looked closer and noticed that the cloth seemed baggier and not comfortable. The elf seemed to clutch onto her chest as she looked towards the sea and then spread her arms. Without even a thought, Wolfgang launched forward in werewolf form. The elf was going to jump and judging by the clothes she was wearing, drown. She had already begun to the jump by the time the werewolf got halfway to her. Increasing his speed, he finally caught her within inches of the water below. She seemed heavier than she looked, and he could feel why. The elf had tied iron weights to her hips to ensure she would drown. Looking at her face, he saw that her ears that pointed up were black in color as were her lips up to her nose. The rest of her face was a glowing white with her eyes having a green hint to them. He felt a twinge hit his heart, it could have been that or the fact that the elf was punching him repeatedly in the chest. She kept screaming, “Let me die! Let me die! Let me die!” Wolfgang climbed with her in his arms up the cliff getting to the top. Sindri and Xerxes looked at the wolf shocked and were about to speak before the werewolf stopped them. “I have to calm her down. Go on ahead and find the rulers of this land. They are going to want their princess back.” The son of Moonclaw said calmly. “How do you know she is royalty?” Questioned Xerxes. “Look at her necklace.” They looked and saw that a jewel glowed bright around her neck. It was a moonstone shaped as a tree; the sign of the royal family. Xerxes and Sindri set off immediately into the forest to find the family while Wolfgang stayed to talk to the elf.